A reporter debunked a councillor’s claims about the distance between two public toilets by walking from one to the other as part of a campaign run by her newspaper. 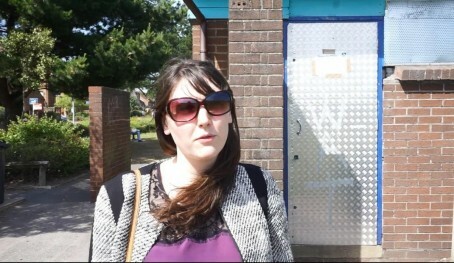 HTFP reported last month how the Bournemouth Echo is pressuring the Borough of Poole to reopen 15 shut public toilets – branding their closure an “embarrassment” to the seaside town. Since the campaign’s launch, the authority has performed a partial U-turn and announced one of the closed blocks will be opened during summer months. However at a recent council meeting John Rampton, cabinet member for environmental services, attempted to deflect criticism of some of the other closures by claiming one of the shut blocks, at Poole’s Baiter Park, were just a five-minute walk away by Google’s calculation from another open block at Dolphin Quays. In order to test out this theory, Echo reporter Kate Wilson walked between the two and wrote a first-person piece for the paper about her experience. The half-mile trek took her a total of 12 minutes. Wrote Kate: “Now I consider myself to be a fit, young twenty-something who usually doesn’t get out of breath while walking. But even I would have struggled to make that journey in five minutes – although if you’re really bursting for the loo you might be able to run it in that time. “Walking at a steady pace, in sensible shoes with an empty bladder it took me 12 minutes. But let’s be honest, the people who really need access to a public toilet aren’t going to be like me. “They are the elderly, the disabled and parents with small children and I would suggest it would take them longer than me to walk from Baiter to Dolphin Quays. The council blamed the closures on financial pressures, but has said there are ongoing discussions with third parties to reopen the toilets in a more sustainable way. They should have made her drink a couple of litres of water first, then she might have walked faster. I disagree, Jazzie. It’s a perfectly valid local story and an issue that could impact on the local economy. Sorry Mike, I disagree. After asking around the office, no one where I work has used a public toilet in years. Everyone says they drop in to M&S, Debenhams, John Lewis or nearest shopping centre to use the facilities there, especially those with kids. Much much cleaner and, usually, more convenient too! I think it’s time that local council closed all of their grotty little conveniences and helped these establishments to foot some of their resulting additional cleaning costs instead. In this case though, you’re only up to 5-10 mins away from the nearest loo (as you’d just walk to the closest one and not from one to the other). A better story might be mapping the parts of Bournemouth that are more than 5-10 mins away from a loo (maybe even calling them ‘bladder burst’ zones 😉 ).